An exciting new sportscar marque is about to land in Australia. The very French Alpine A110 is a high-performance coupe that’s built by a division of Renault, but operates largely in its own right. Alpine A110 harks back to the shape of that original sports machine, which is a first for this class. We particularly like the retro driving lights, fluted bonnet and wraparound rear window. Other retro cars – Fiat 500, Mini and VW New Beetle – have enjoyed a great deal of success and it will be interesting to see if other sportscar makers follow Alpine’s lead. The two-seater Alpine coupe features aluminium construction to keep weight to a minimum only about 1100kg, depending on model. 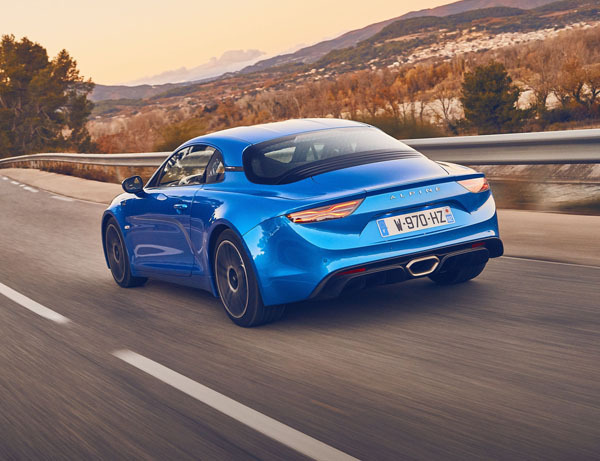 The A110 has benefited from the expertise of Renault Sport and is powered by a mid-mounted 1.8-litre turbo-petrol engine that produces up to 185kW and 320Nm. Light weight means Alpine has a zero to 100km/h time of just 4.5 seconds. 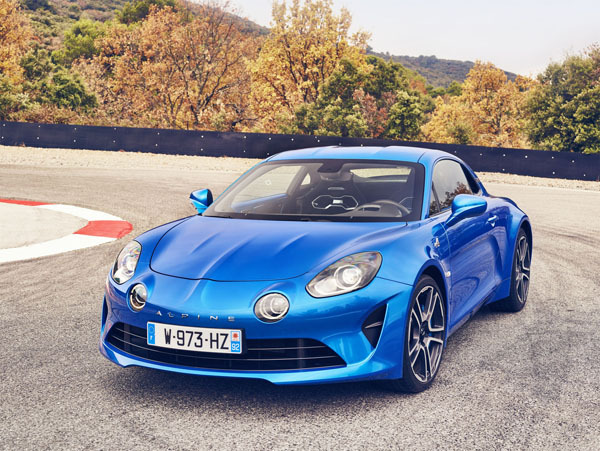 Alpine A110 will initially be launched with three specifications in Australia: Australian Premiere Edition, Pure and Legende. Only 60 examples of the Australian Premiere Edition are being imported, each with an individually numbered plaque to celebrate its debut in Australia. All are in Alpine Blue metallic paint and sitting on 18-inch Fuchs forged wheels. 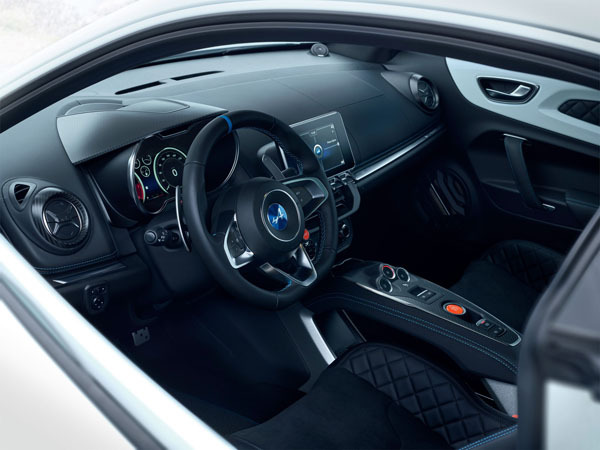 There’s a blue Alpine logo in the centre of the steering wheel, blue Alpine brake callipers. Inside are aluminium brake and accelerator pedals and a footrest. A Focal audio system is there if you would rather listen to that than to the superb engine note we are told is very much part of the A110. Interestingly the Alpine A110 Pure and Legende models have different setups. The Pure is aimed at sporty driving on winding mountain roads. The A110 Legende is the grand tourer of the range, for everyday usability. Alpine will be sold in Australia through an exclusive network of dedicated Alpine dealerships, all staffed by specifically trained consultants. Deliveries of the A110 Australian Premiere Edition commence in Q4, 2018, the A110 Pure and Legende won’t be here till Q1, 2019.